This section of the website is designed to help parents in their role of helping children to achieve their best. It can be easy to assume that by the time children have reached secondary school, there isn-t much parents can do to influence their success. But there is! Before pupils come to Poltair School, parents, the pupils and the school sign a Home-School Agreement. This document sets out what we expect of each other. It is a statement of our shared responsibilities. We see it as a formal agreement that we will all work together for the benefit of every pupil. When a pupil enters Year 7 at Poltair School your first concern will be for the safety and security of your child. That is also our concern. You will already know about how much emphasis we place upon getting to know each young person individually. Parents can be reassured that pupil from a range of different schools and backgrounds bond together well in tutor groups, lessons and other groupings. New friendships are always quickly made and initial concerns usually disappear within the first few days. If you have concerns about this, however, please contact your child-s tutor or one of the Pastoral Support Managers in our Student Services Centre. This link will take you to a very useful website to help you access support for you and your family. There is a wide range of resources, links, information, advice and guidance to help you seek further help and support. 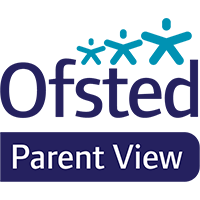 Please contact the school if you would like further advice regarding a specific issue that you are unable to find the relevant support for, our team are highly skilled and can help to signpost services or offer support. How Can I Support My Child At Poltair School? Supporting our uniform expectations and making sure that your child comes to school properly dressed and fully equipped for the day ahead. Ensuring that your child attends regularly and keeping us informed if for any reasons s/he is absent. Avoiding taking family holidays during term time. Talking to them about their work. Taking an interest in their activities. Ensuring that your child develops a routine when it comes to homework. The timings do not matter; the regular routine does. It makes sense for pupils not to go out until homework has been completed. Young people to complete around 1-2 hours homework a night. Your child to talk to you about their work. Ask them to explain their work to you. Research suggests that this is the most significant form of positive enforcement. It is the best revision exercise.